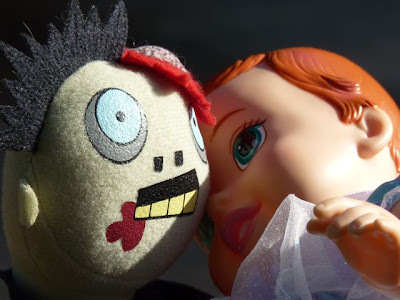 Is that Fred the Zombie with one of the Lydia monster's dolls? I did start to follow Fred but then lost touch with him. Is he still blogging? What? Is Fred's Photographer so lazy that he's moved to your place. Apologies to the photographer... For all I know she's been eaten by the thing that chased them up the tree.